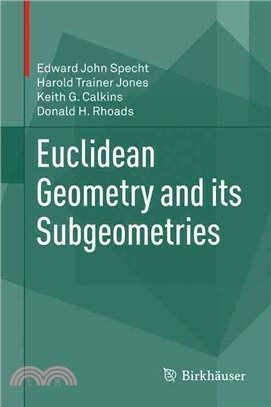 In this monograph, the authors present a modern development of Euclidean geometry from independent axioms, using up-to-date language and providing detailed proofs. The axioms for incidence, betweenness, and plane separation are close to those of Hilbert. This is the only axiomatic treatment of Euclidean geometry that uses axioms not involving metric notions and that explores congruence and isometries by means of reflection mappings. The authors present thirteen axioms in sequence, proving as many theorems as possible at each stage and, in the process, building up subgeometries, most notably the Pasch and neutral geometries. Standard topics such as the congruence theorems for triangles, embedding the real numbers in a line, and coordinatization of the plane are included, as well as theorems of Pythagoras, Desargues, Pappas, Menelaus, and Ceva. The final chapter covers consistency and independence of axioms, as well as independence of definition properties. There are over 300 exercises; solutions to many of these, including all that are needed for this development, are available online at the homepage for the book at www.springer.com. Supplementary material is available online covering construction of complex numbers, arc length, the circular functions, angle measure, and the polygonal form of the Jordan Curve theorem. Euclidean Geometry and Its Subgeometries is intended for advanced students and mature mathematicians, but the proofs are thoroughly worked out to make it accessible to undergraduate students as well. It can be regarded as a completion, updating, and expansion of Hilbert's work, filling a gap in the existing literature.